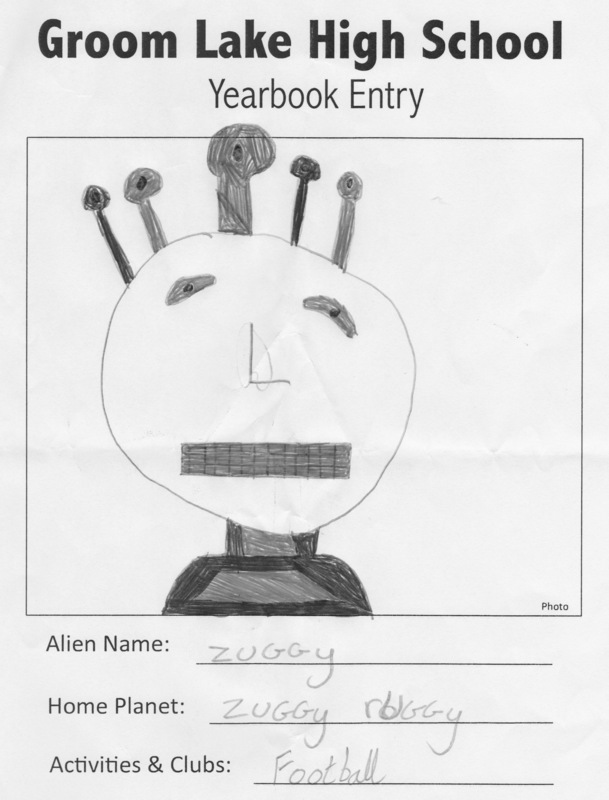 Images | High School Can Feel Like An Alien World. 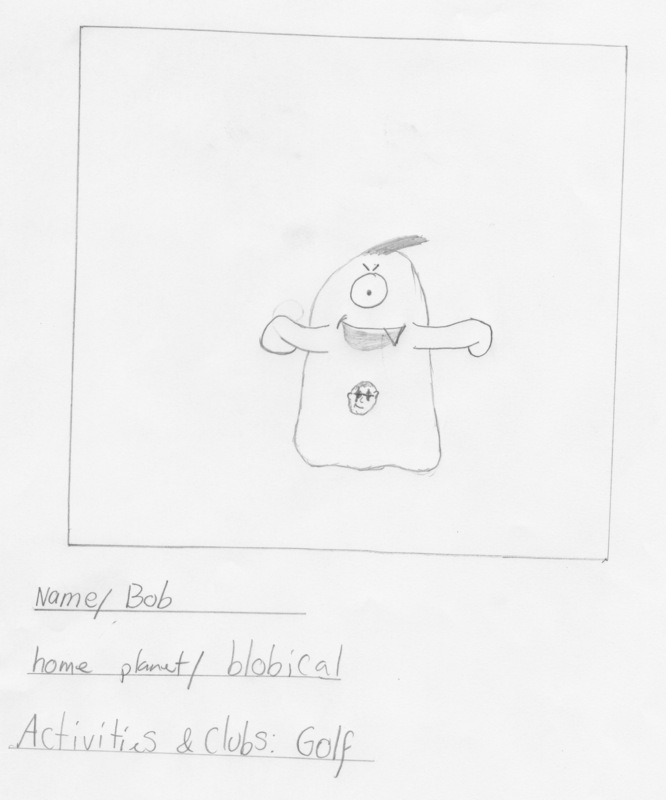 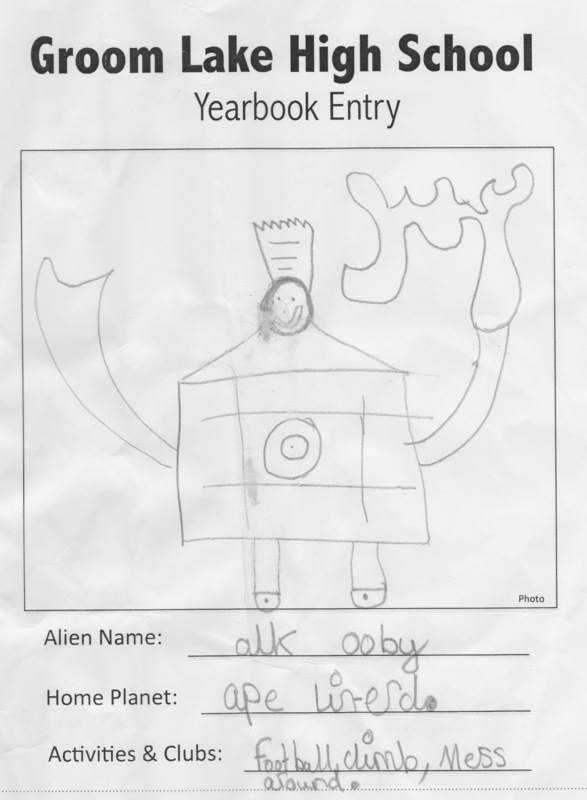 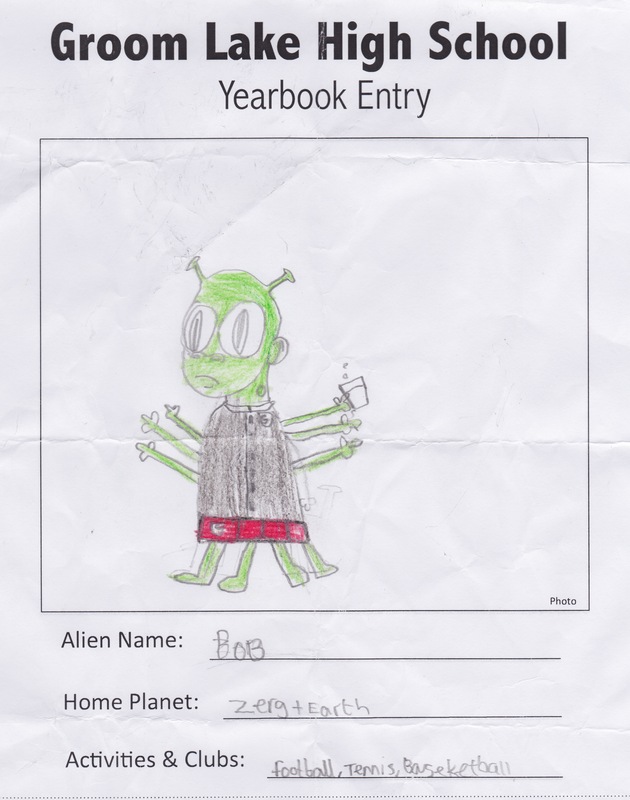 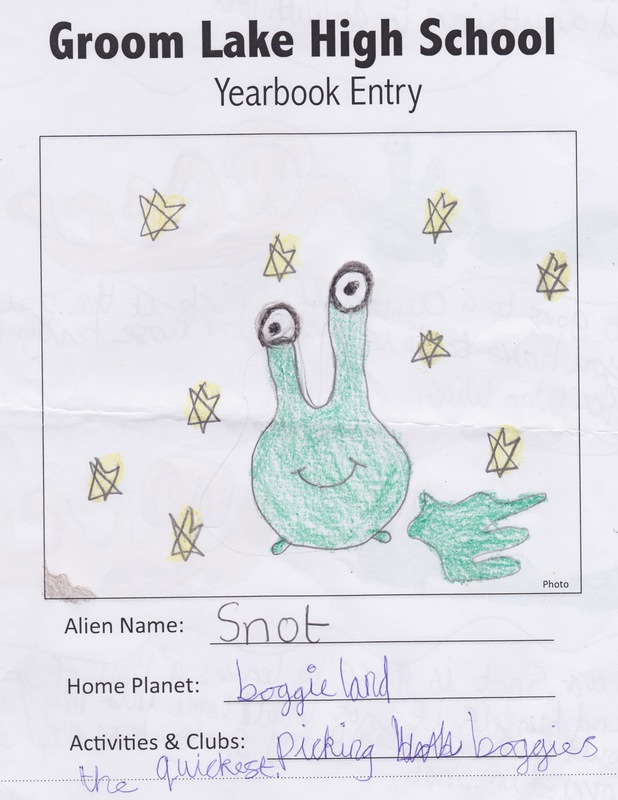 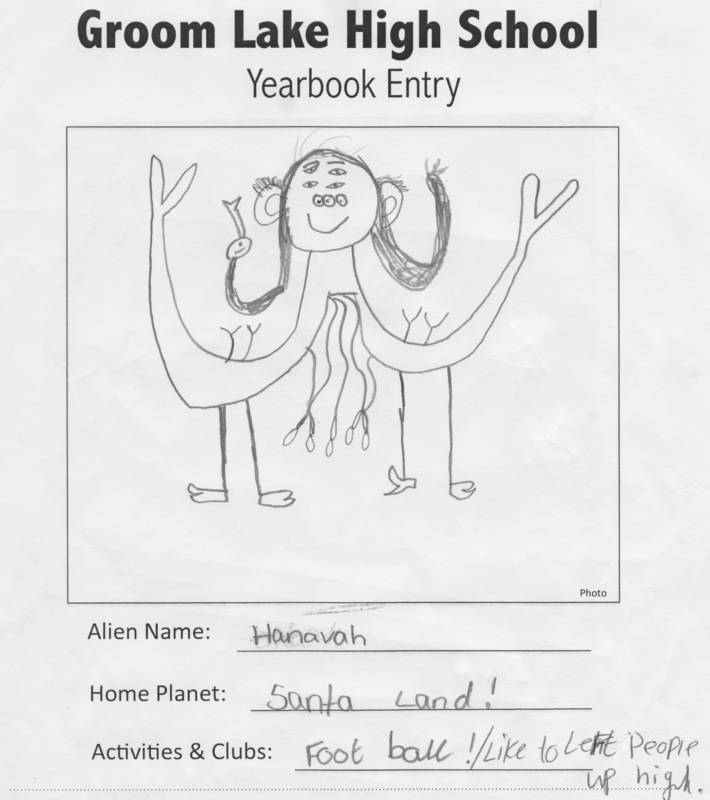 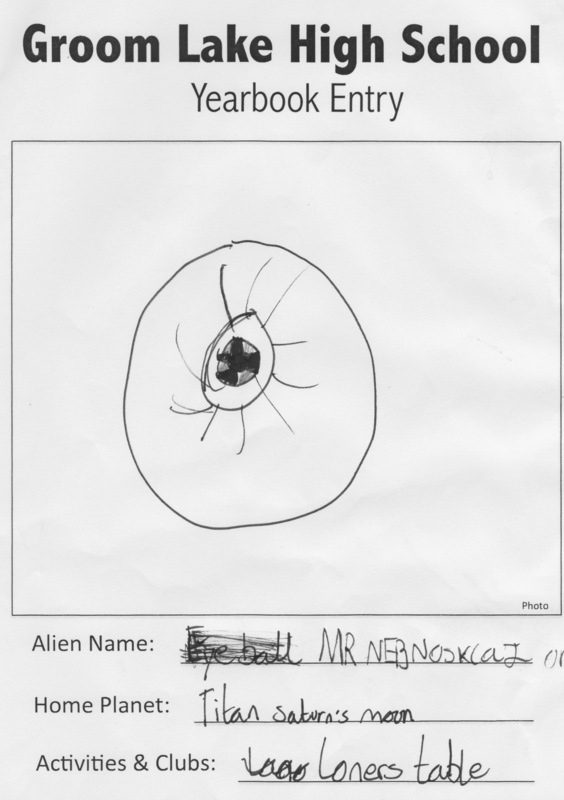 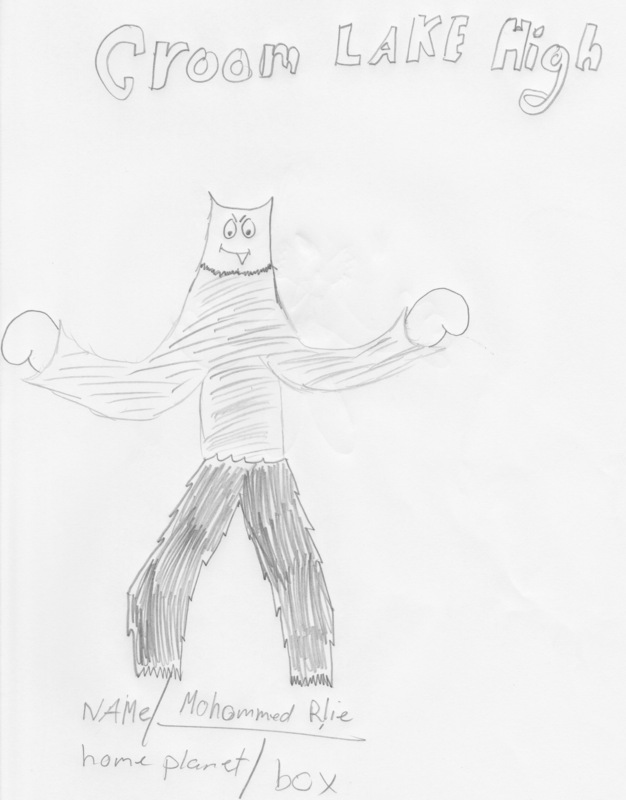 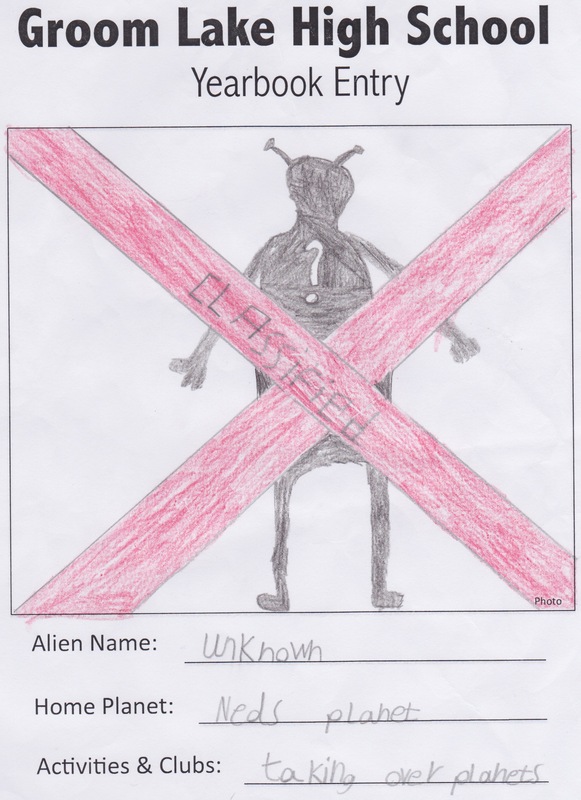 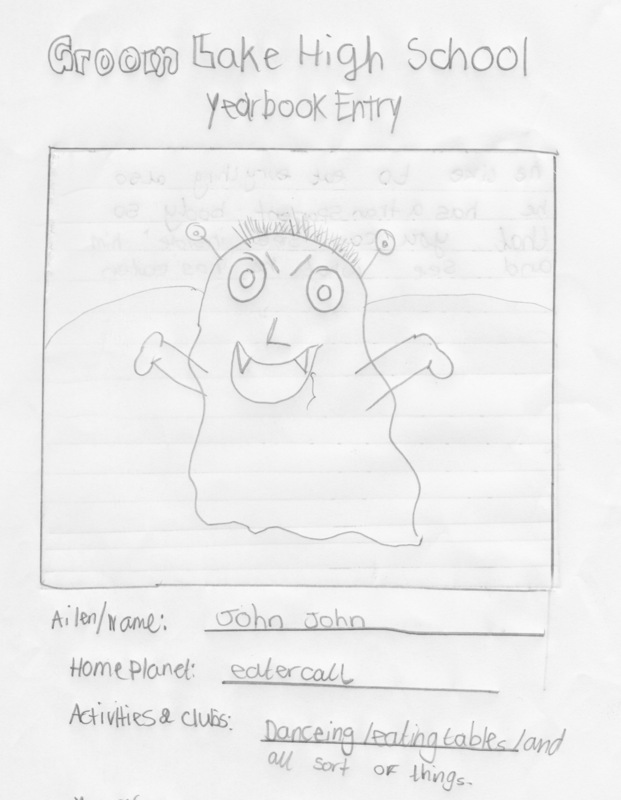 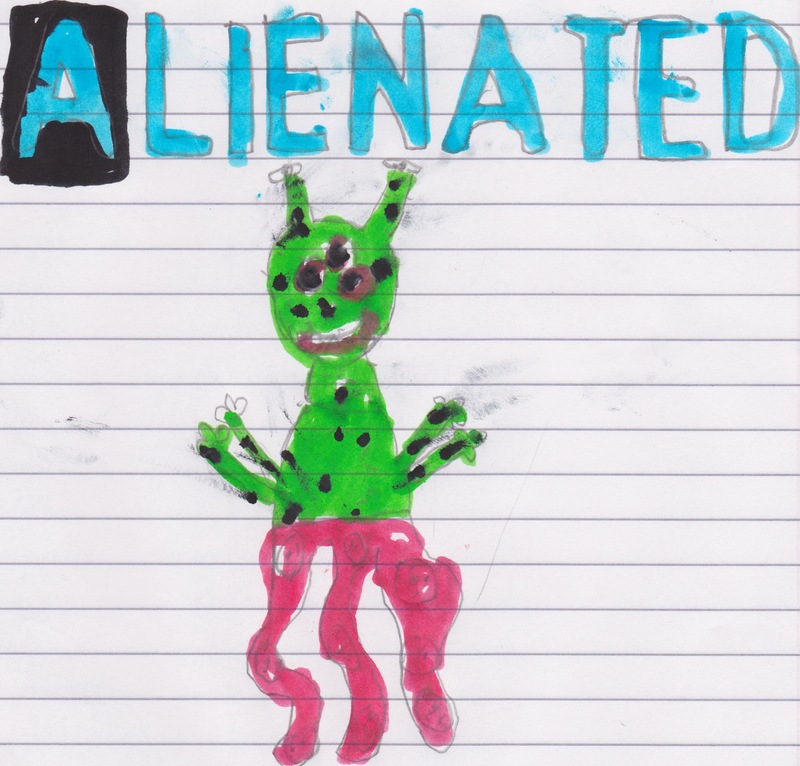 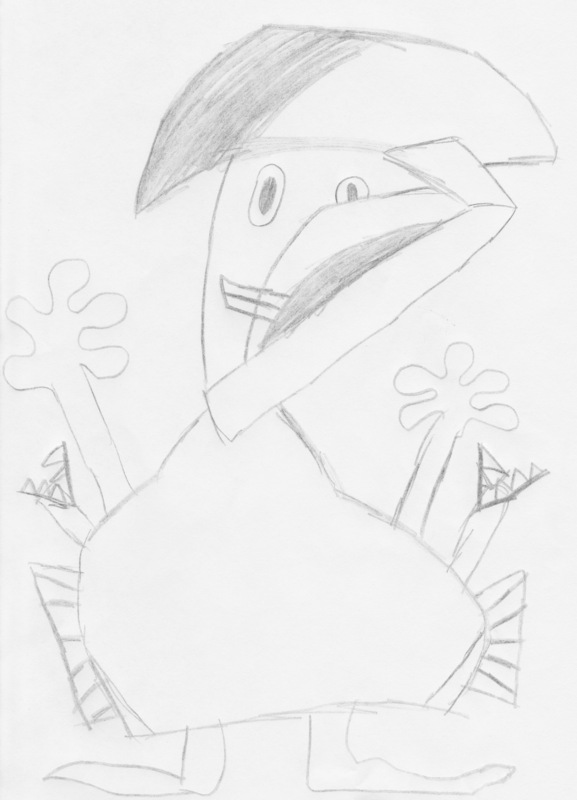 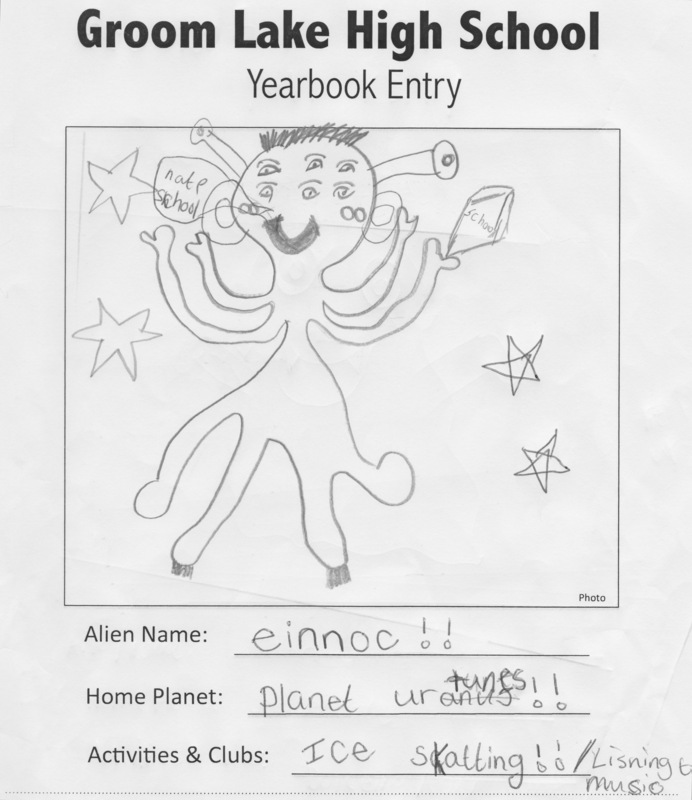 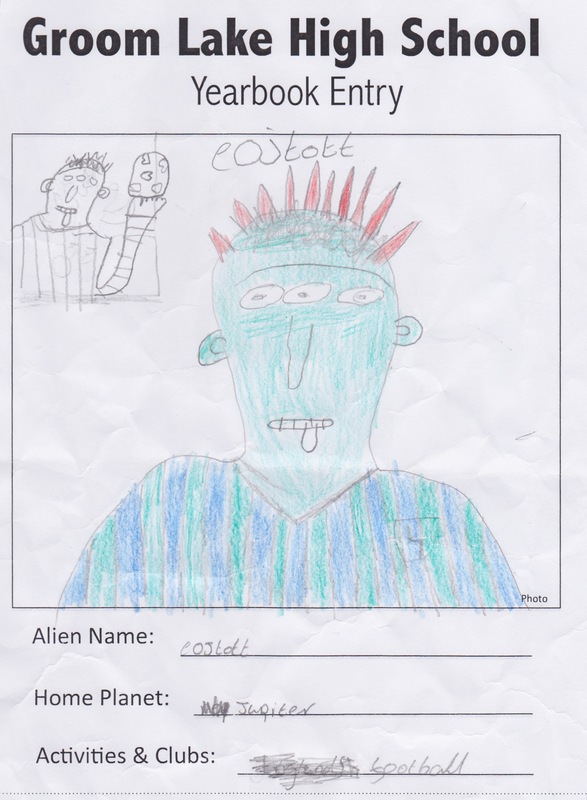 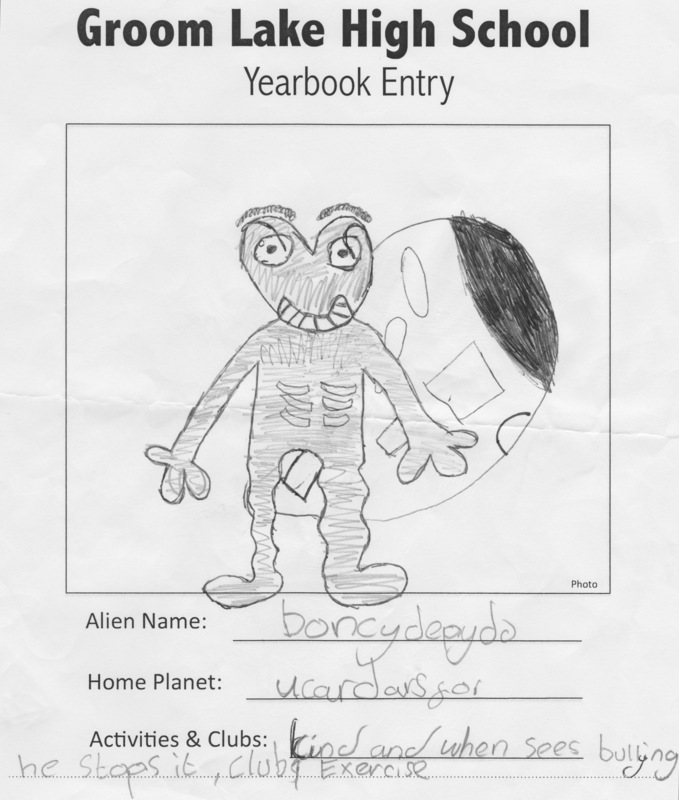 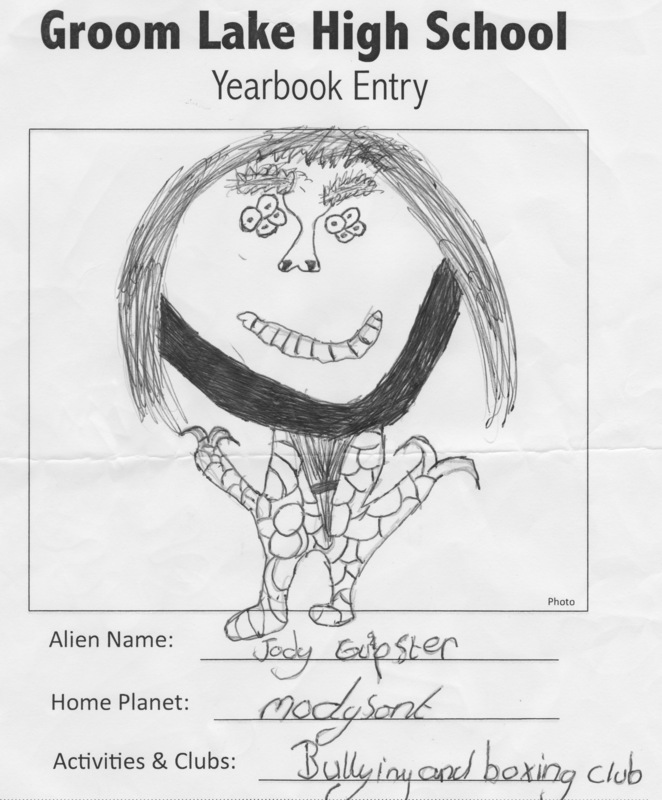 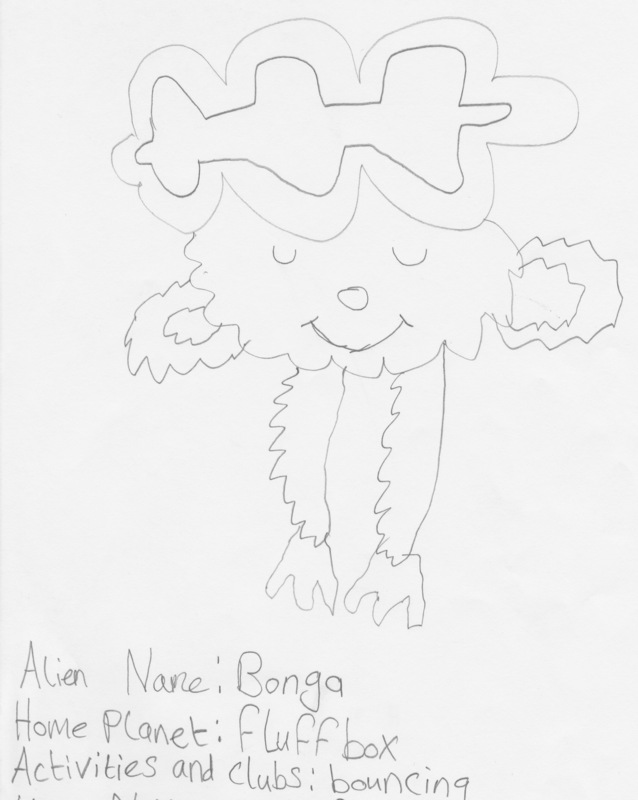 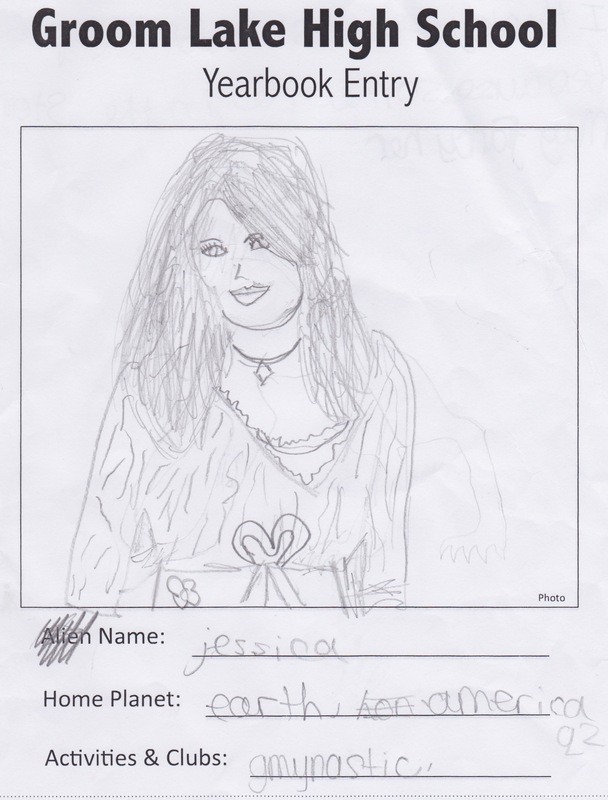 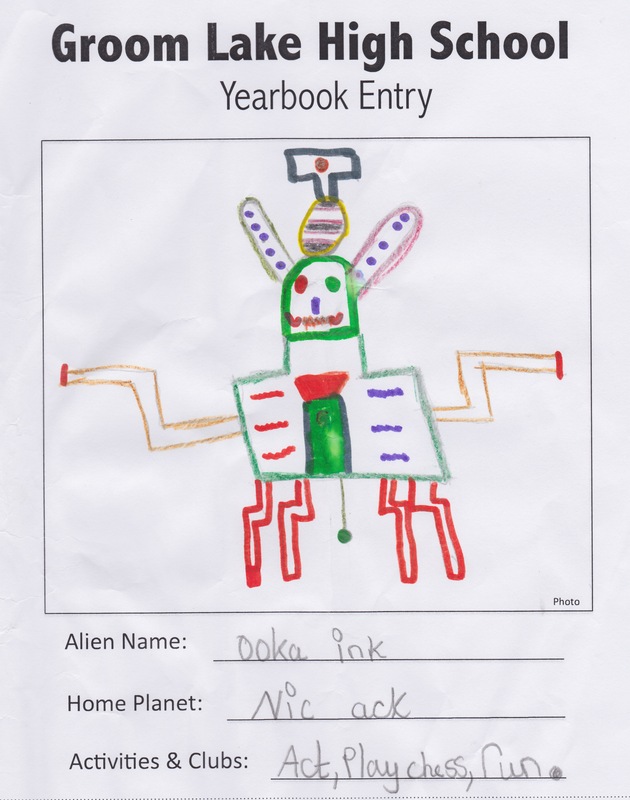 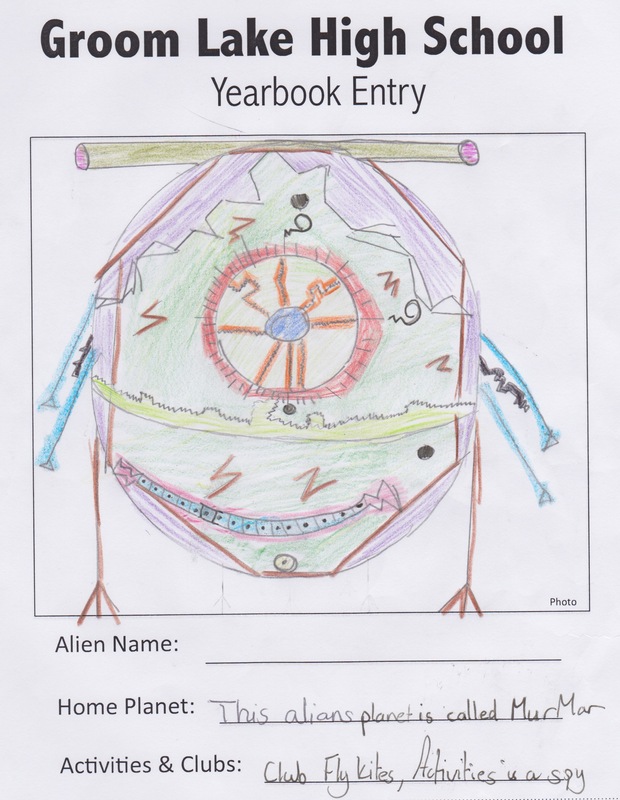 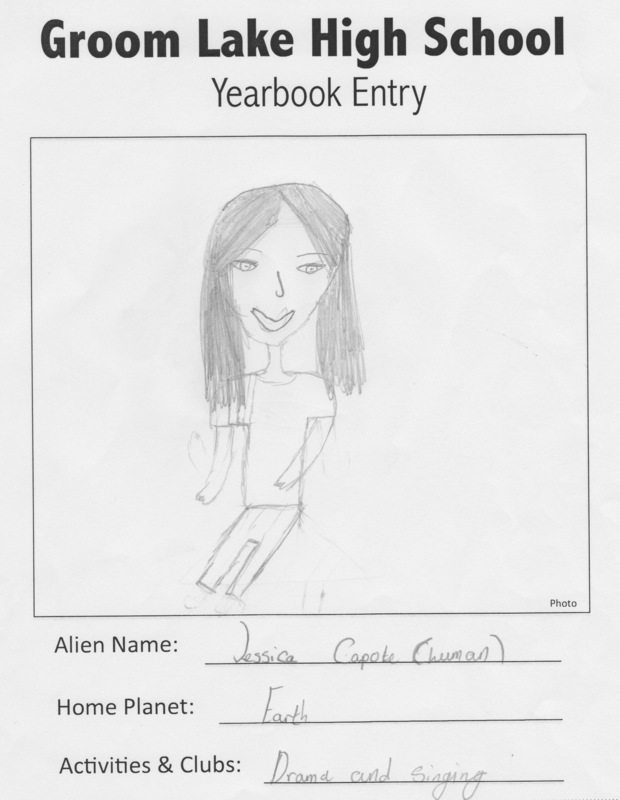 Our beta readers are designing their own pictures of what they think the aliens at Groom Lake High School look like. 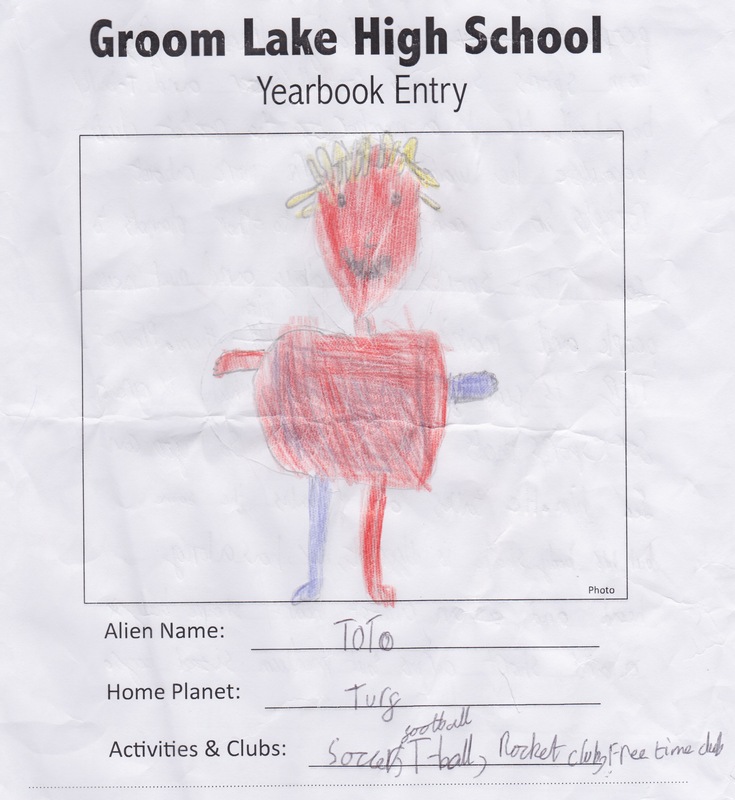 If you want to get started, download the Groom Lake High School Year Book entry form here, and email it to Sherman at shermancapote (all one word) at yahoo dot com. 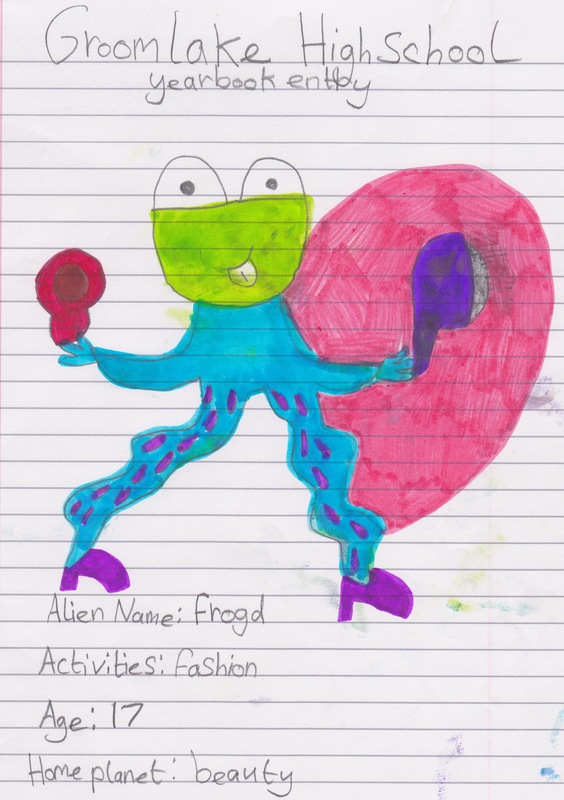 This alien is from planet Mur Mur and "is a spy"